I didn't found any introduction topic so I opened a personal one here in General Discussion. I hope it's ok? I'm a teacher in North-east Thailand but before that I was, and I often still be, a researcher and a naturalist in the southern and central part of France, and in Thailand. My training is in Geology and Paleontology (Msc) so I get all the basic knowledge in biology and environmental sciences. Nowadays I spend most of my time taking care of my garden, my wonderful wife and our three cute little monkeys but I like to continue to go around in NP and explore the unknown area of the secret Isan. As a dinosaur hunter (working officially for the Thai government) during the past 10 years I have been trekking and visiting area in most of the NE NP, in a few in the South as well as a lot of unknown forestry parks. My wife being a Thai officer working in research lab I still goes with her team from time to time. I've got some plan for trekking in 2019 and if you live in the area around Khon Kaen and Kalasin feel free to contact me in PM to exchange our plans. Also if you are an Isan lover and you would like to discover some unknown area around Kalasin. Of all the parks you have visited in that region so far, which do you consider the most interesting for wildlife/ herpetofauna? Any place you recommend visiting? 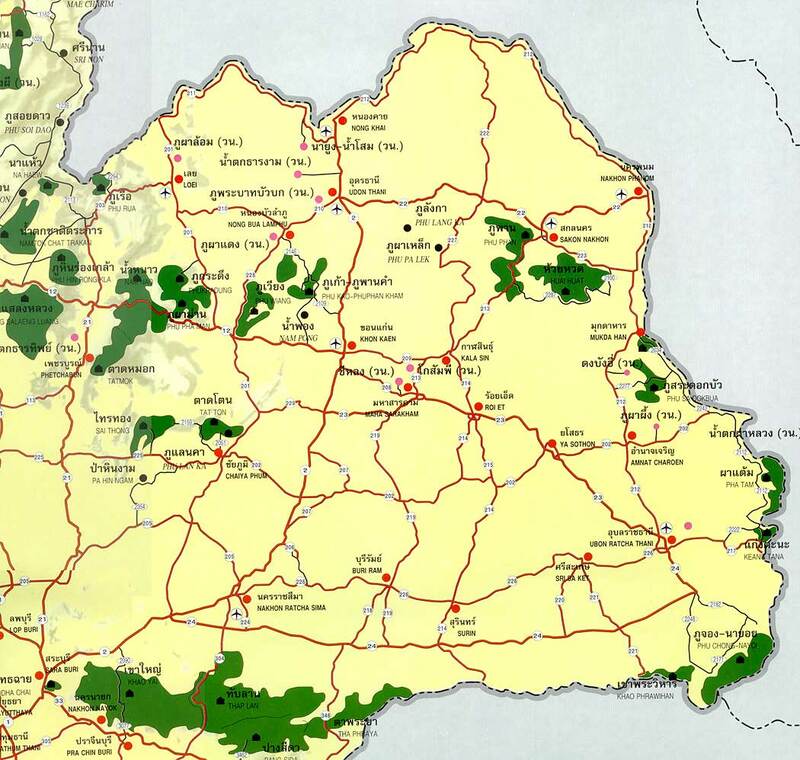 I am only familiar with the big parks in the South of the provided map, the Dong Phaya Yen - Khao Yai Forest complex.